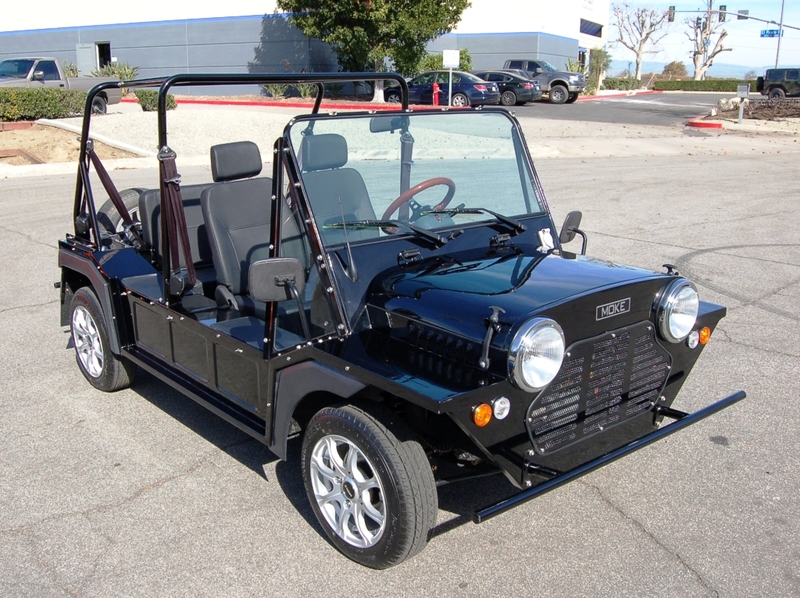 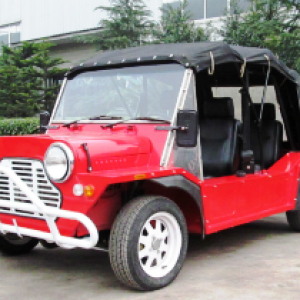 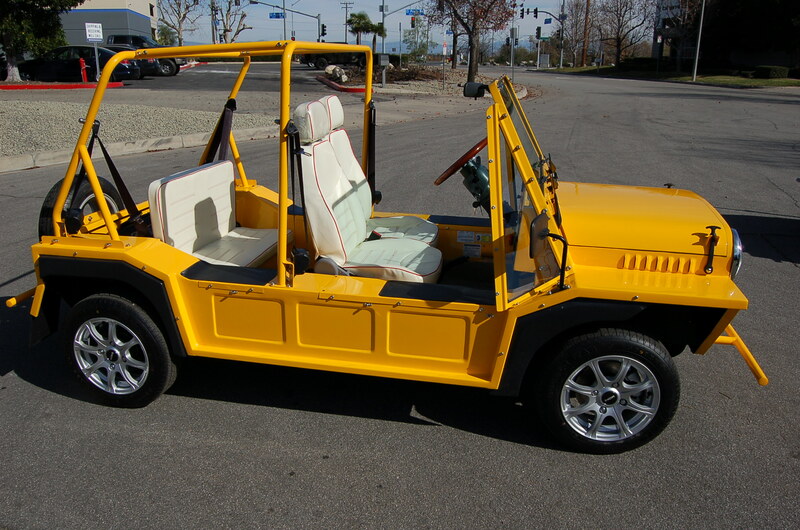 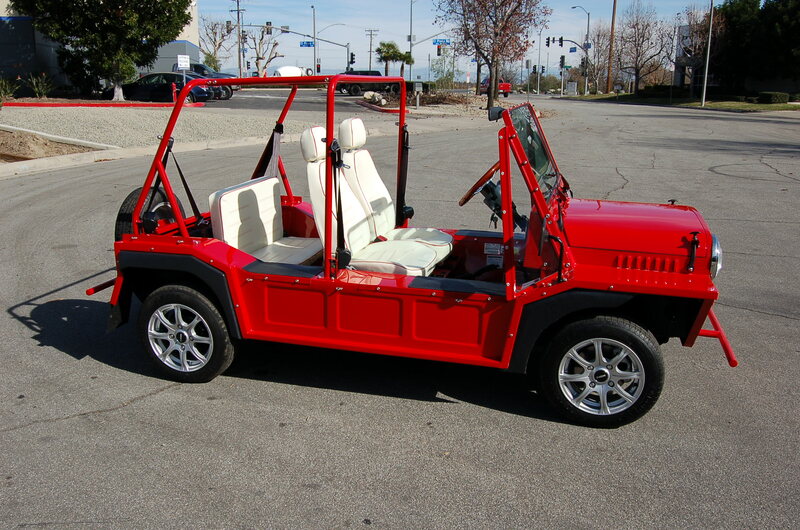 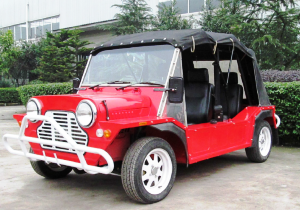 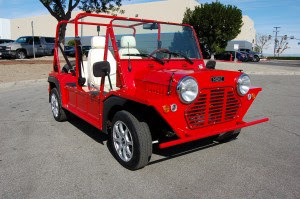 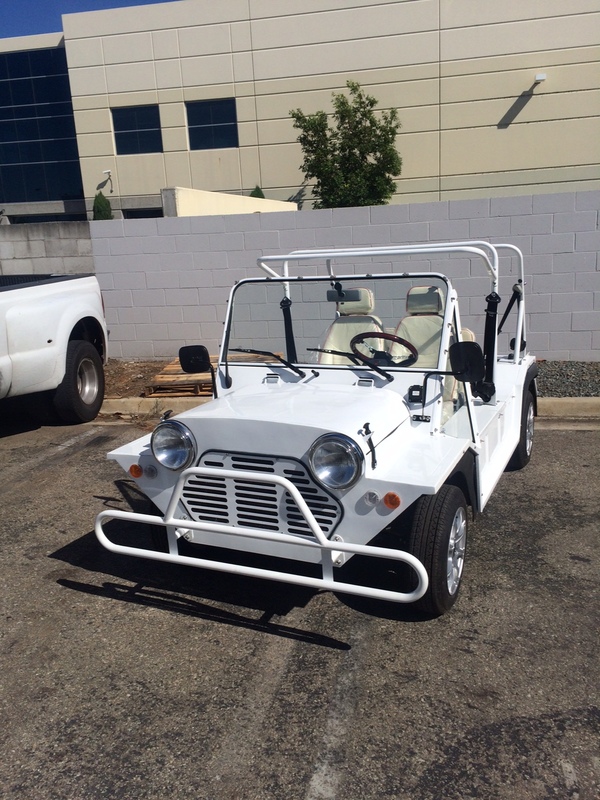 ACG Inc ., the recognized leader in affordable Custom Electric Vehicles, is pleased to introduce the all-new MOKE™. 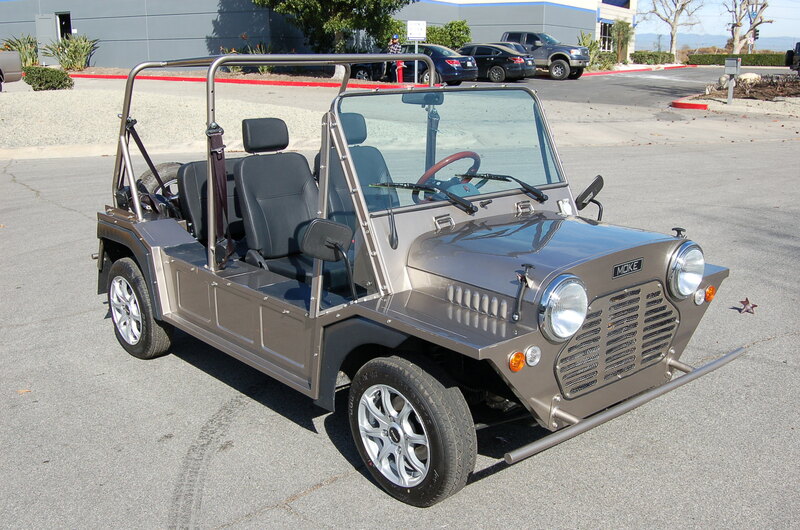 Available as LSV/NEV with a top speed of 25 miles per hour, the MOKE™ is the perfect Electric Vehicle to get you where you need to be. 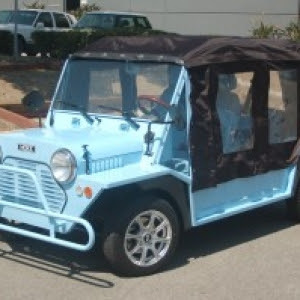 The MOKE™ was built with purpose and reliability in mind. 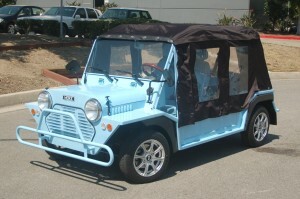 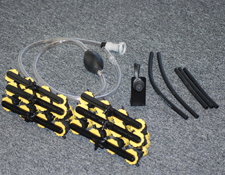 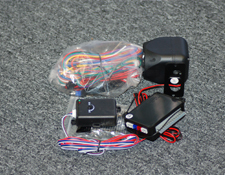 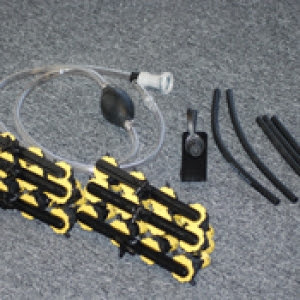 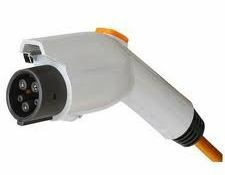 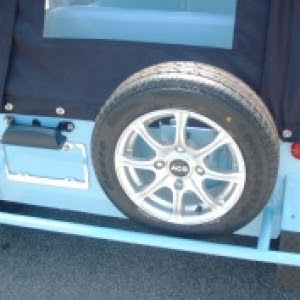 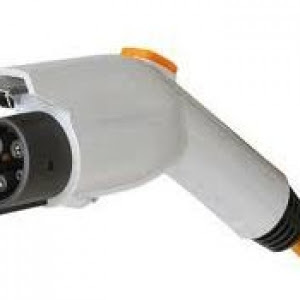 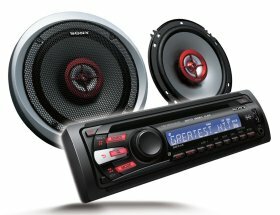 The MOKE™ uses a long lasting 48-volt system to ensure maximum range using industry leading Traction AGM batteries managed by the SEVCON computerized controller. 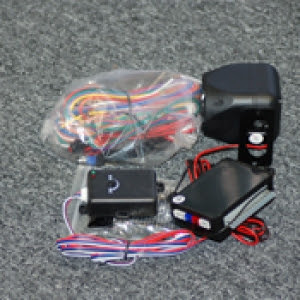 The Hi-output 17.5 peak horsepower iduction motor is powerful enough to move you and your passengers up hill and yet it is efficient enough to deliver a higher range than the industry average. 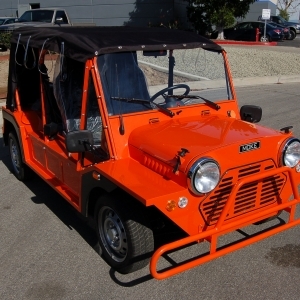 For added safety, the MOKE™ has been outfitted with standard headlights, brake lights, turn signals, horn and windshield wipers. 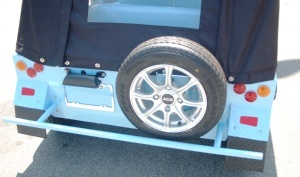 It has standard 4-wheel braking system, which includes the use of front wheel hydraulic disk brakes.